I’m not a coffee drinker, I’m a coffee guzzler. It’s true. I can easily drink a pot, or more, a day. There is not a single time you could offer me coffee and I’d say “no.” I don’t get the jitters, I don’t get withdrawal headaches, I just get lots of lots of the liquid of heaven. The October/November 1992 issue features this full cover ad on the back. 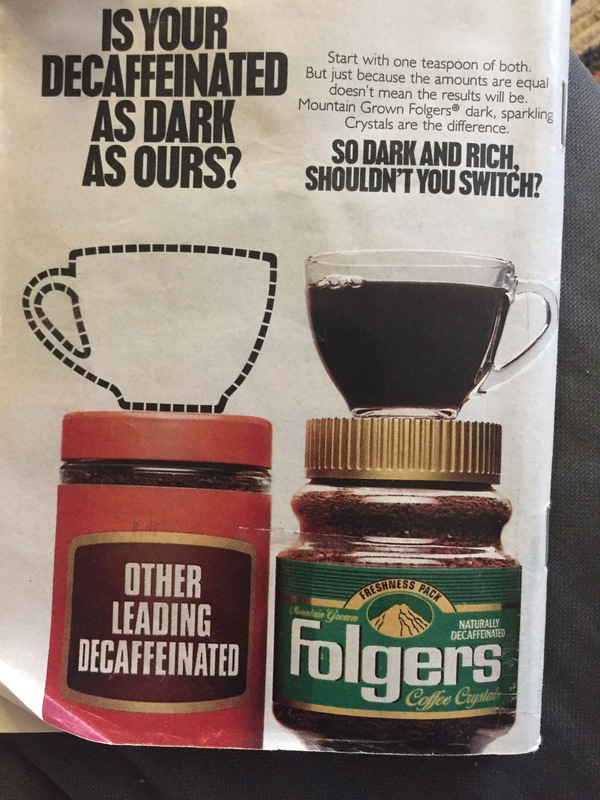 If there is two coffees I will sneer, jeer, and fear, it’s instant or decaf, but I’m dedicated to this blog, and said I’d take one for the team. This is the smallest possible jar I could find, after going to two different stores. The instructions state “1 rounded teaspoon per 6oz” and I like big mugs (and I cannot lie) so I used two rounded spoonfuls. It did come out very dark. Couldn’t claim it was watered down that is for sure! I treated it like any other cup of coffee, some sugar, some cream. Still very dark. Some more cream, still very dark. 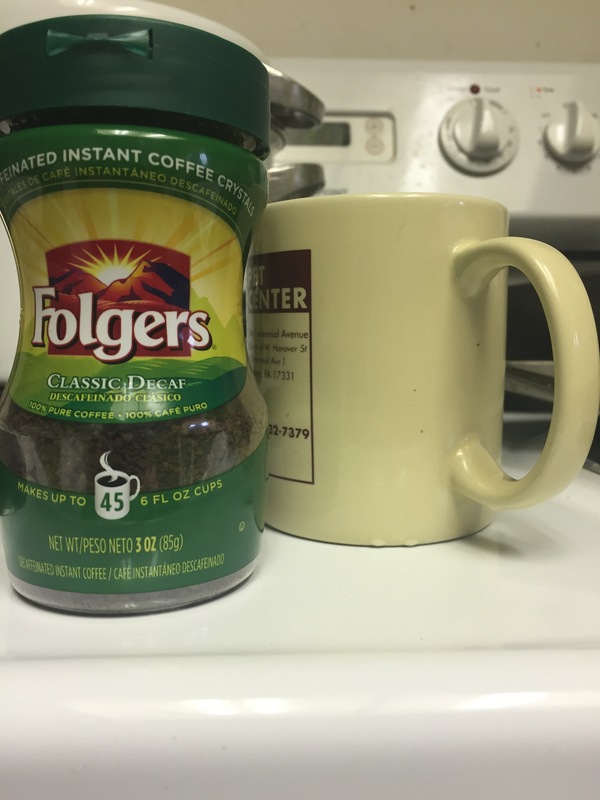 Some powdered creamer, finally a more acceptable creamy brown. So it took a lot of creamer to get a creamy cup. I took a sip. Not awful. Not great either, but not awful. I finished the cup. Which is not astounding, wasting coffee, even instant decaf, is considered the greatest of sins in my eyes. Honestly, it wasn’t bad! I think with some fiddling, it could even be good! I might make it with milk next time instead of water jut to try it, and I’ll be using it in various recipes in the future. On a cold day, if my tea, cocoa, and normal coffee stashes are all empty, I could imagine drinking a cup.